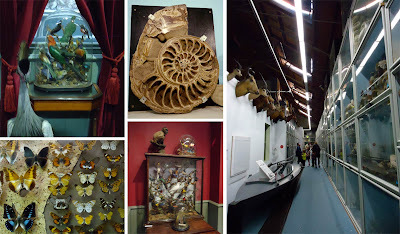 Brighton's Booth Museum of Natural History is a curious place. 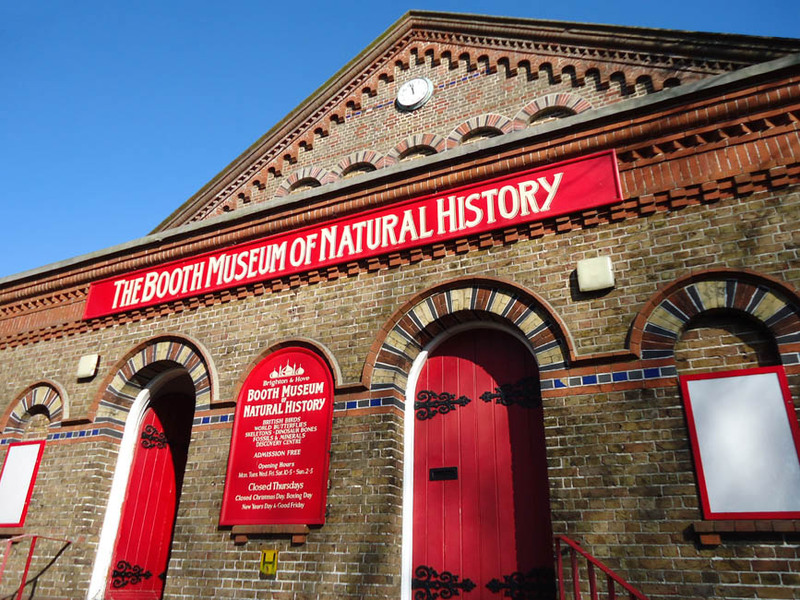 Founded by Victorian shooting enthusiast and taxidermist Edward Booth, it houses his vast collection of stuffed birds, butterflies, fossils and bones. 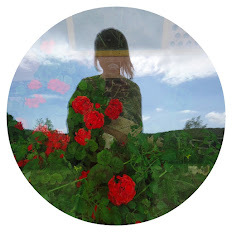 On entering the building we were met by a growling grizzly bear wielding a staff inside a tall glass cabinet – this set the tone nicely. Throughout, the museum is dimly lit and has a musty chemical smell (pervasive but not exactly unpleasant) it all adds to the idiosyncratic atmosphere of the place. 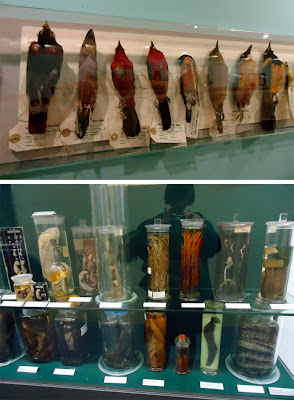 My daughter was suitably appalled at the sight of so many preserved dead creatures on display! We were there for Brighton Science Festival's Investigate the Iguanodon event held in the centre of the museum in a space decorated with cases filled with hundreds of mounted butterflies and moths. Geologist and Booth Museum manager John Cooper presented the illustrated talk which was aimed at children aged 8 and over (though there were as many eager adults present as enthusiastic children). It was simply fascinating and wonderful to see a room full of young dinosaur experts so engaged in the subject. Cooper paid tribute to Mary Anning, teenage fossil collector, dealer, paleontologist and the woman who found the world's first complete fossilised plesiosaur. 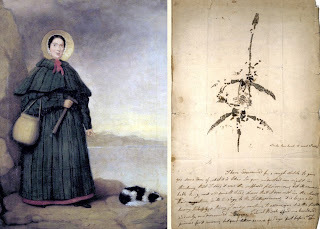 We learnt that Iguanodon's teeth were found by Mary Ann Mantell (wife of fossil hunter Gideon Mantell) in Tilgate Forest, Cuckfield, Sussex in 1822. 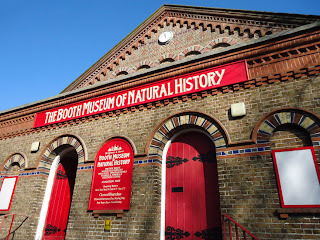 My daughter loved the talk and really enjoyed exploring the museum's interactive displays though I couldn't persuade her to come and have another look at Booth's most prized exhibits.